Hundred-year-old Southern Pacific safe is donated to museum by Amtrak. The safe was moved to the museum on Nov. 18, 2008, the 27th anniversary of the relocation of Goleta Depot from trackside to Lake Los Carneros Park. The safe was moved by Specialty Crane & Rigging. 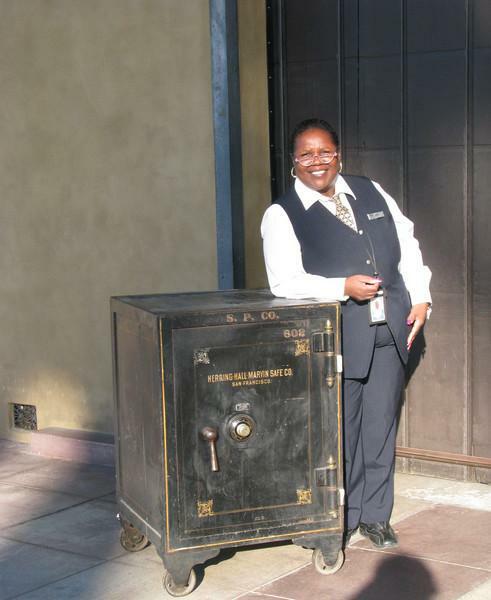 Santa Barbara station agent Stephanie McClinton helped move the safe outside from the Baggage Room.